A very pretty, lightweight and silky infant sheet in pure white "fil de lin" linen. 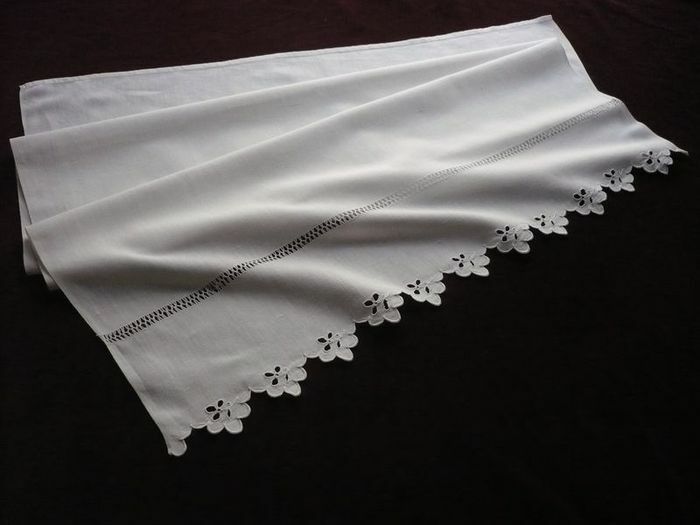 This precious sheet has a fancy scalloped border with English cutwork flowers embroidered in each of the scallops and a large, crossed drawn thread row along the turnback. Hand hemmed. Perfect condition and ideal for summer weather! Dimensions: 47 x 31.5in.